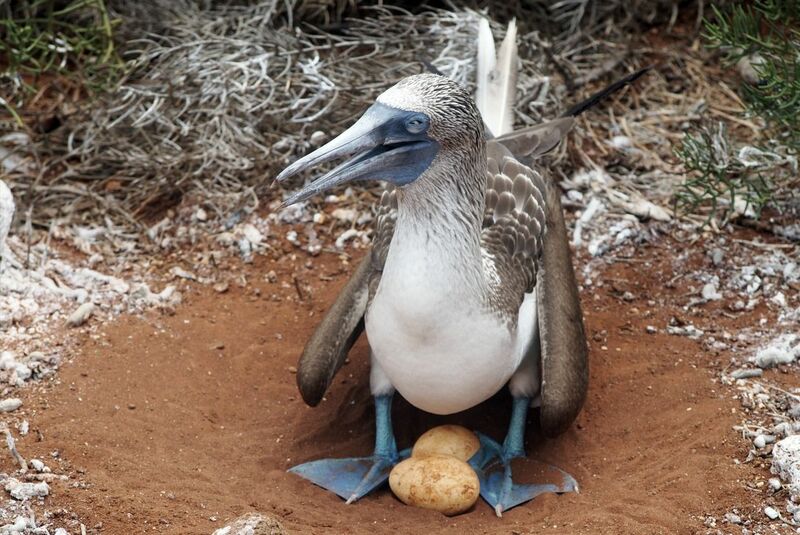 There’s no question that the Galapagos Islands is one of our planet’s true treasures. Not many places in the world are so pristine and rich in wildlife, and in my opinion only a safari in Africa or an expedition cruise in Antarctica come close to providing a comparable experience. This was my second trip to the islands and the difference this time was that I did a land-based stay rather than a cruise. This time around I stayed at the Galapagos Safari camp located on Santa Cruz Island, the main island of the Galapagos. 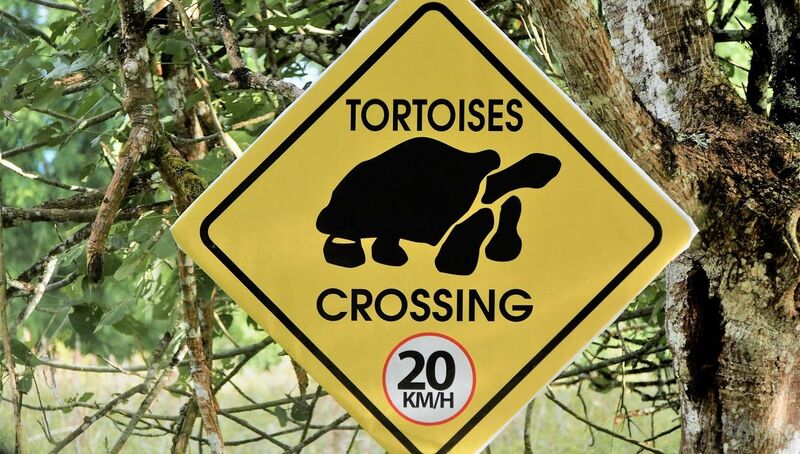 It is located in the highlands of Santa Cruz which is the best place in the Galapagos to see Giant Tortoises in the wild. Most tourists simply do an excursion to a farm and see them before returning back to their cruise or hotel, however at Safari Camp you are literally cohabiting with them. The camp consists of one main lodge and nine luxury canvas safari tents all with sweeping views over the island and the Pacific Ocean. 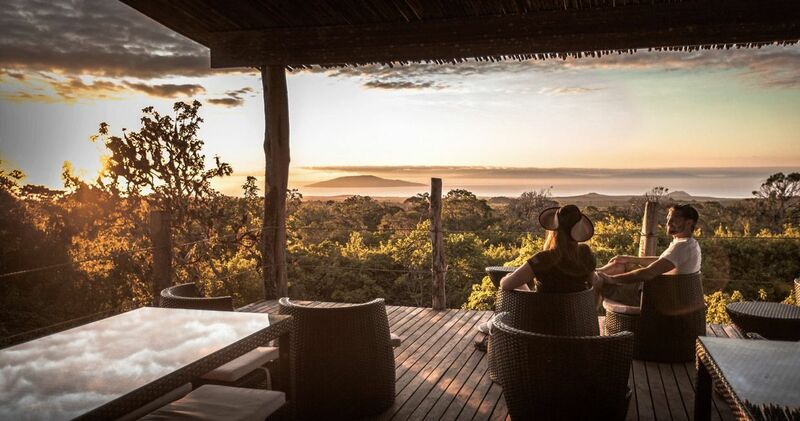 A stay here can really be compared to a tented safari camp like you find in Africa, without any real danger from the wildlife. The Camp was built as a labour of love by Stephanie and Michael Mesdag, a couple from Europe who fell in love with the islands, found an amazing site to build on and moved themselves and their young family to accomplish their dream. 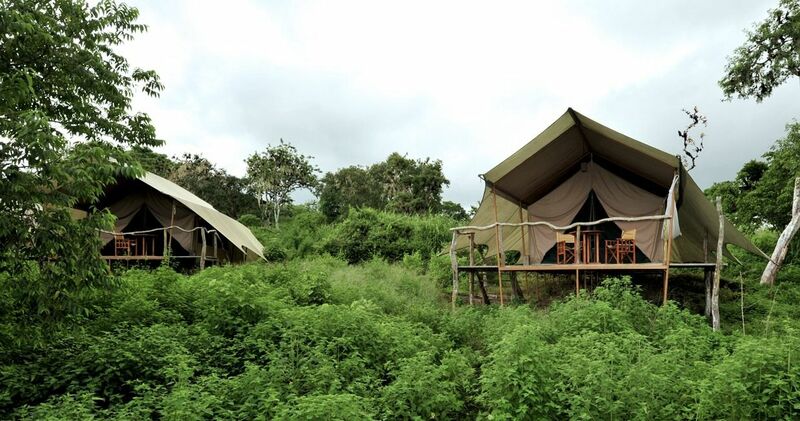 The camp makes every effort to harmonise with nature; from growing its own crops, having a farm with cows to milk and provide organic meat, a small cocoa plantation and being the only lodge in the Galapagos which is entirely self-sufficient in water due to its unique rainwater collection system. A stay at the camp includes all your meals, and the three dinners I had here were easily the best meals I had in Ecuador. Also included is a huge range of activities to help explore the flora and fauna of Santa Cruz Island. Mountain biking, diving, snorkelling, fishing, visits to giant sink holes and lava tunnels, lazing around or kayaking off some of the most pristine beaches I have seen, and day cruises to surrounding islands. In the time I had here we were so lucky to have some incredible wildlife encounters which started with swimming with a huge pod of dolphins and continued with blue footed boobies, frigate birds, flamingos, sea lions, sharks, giant tortoises, Marine Iguanas and Land Iguanas. I’ve always thought that the Galapagos is a perfect place for families but as a parent with two small children, I couldn’t imagine anything worse than eight days on a small ship cruise with them. There are also many clients of ours who don’t like the idea of cruising and after experiencing it myself I really feel that the Galapagos Safari Camp is a great alternative to the traditional cruises or can serve as a complement to a shorter cruise. 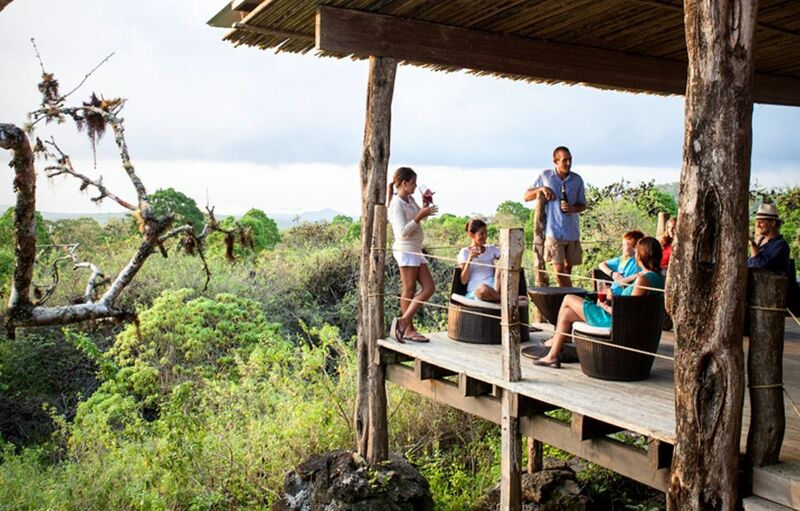 With tailor-made travel there’s no ‘one size fits all’ approach and having options like Galapagos Safari Camp helps us find the perfect option for any client. 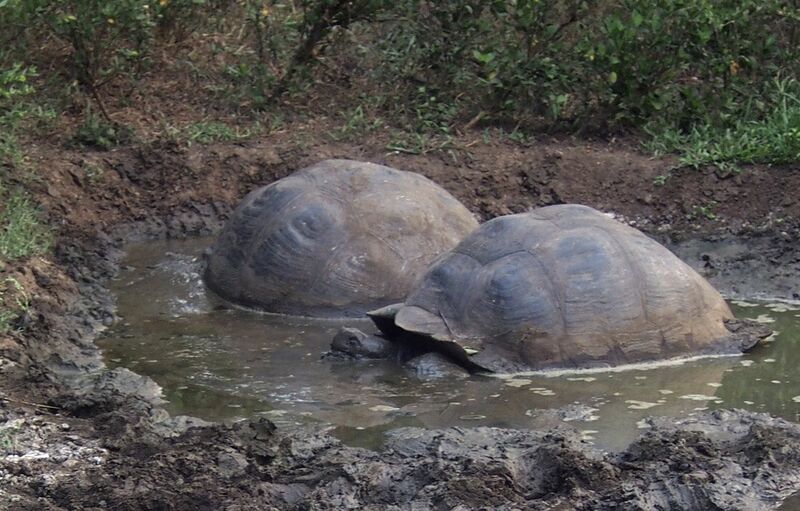 I would highly recommend a stay at Galapagos Safari Camp to anyone looking to explore the diverse wildlife and scenery of this spectacular destination, particularly those travelling with children or looking for a unique and engaging experience.